Bora Bora is a French Polynesian island that is a popular honeymoon destination. Located northwest of Tahiti, Many resorts boast views of an extinct volcano that has raised into two peaks, which are now known as Mount Pahia and Mount Otemanu. Most, if not all resorts, are aqua-centric, providing visitors with pristine turquoise waters, white sandy beaches, luscious greenery and exquisite views. If you are considering Bora Bora for your honeymoon, check out three luxurious resort options below. 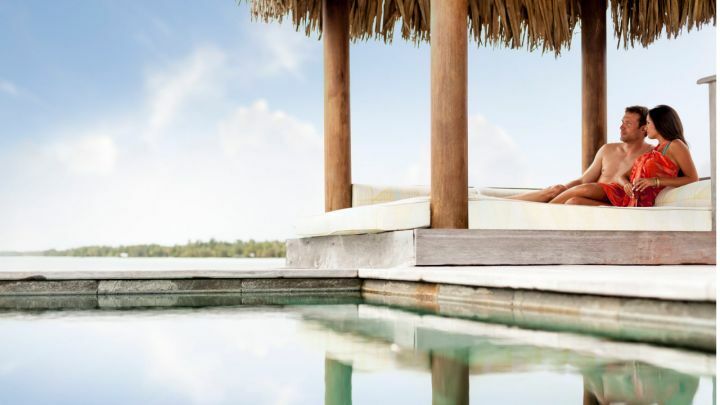 Le Méridien Bora Bora is located away from the main island and is only accessible by boat, surrounded by a gorgeous lagoon with views of Mount Otemanu. 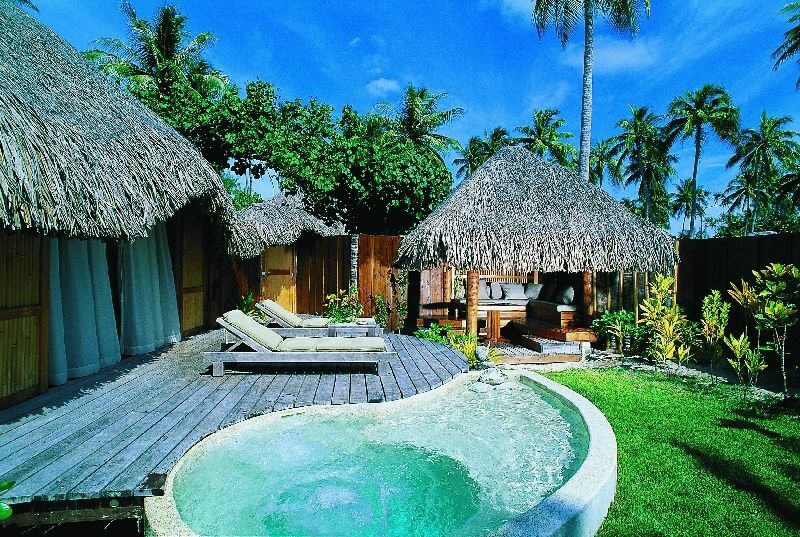 The resort offers both bungalows and villa suites, including romantic overwater bungalows (pictured above). Honeymooners looking for a bit more privacy can book the one or two bedroom Pool Beach Villa, which includes their own private infinity pools that overlook the resort’s inner lagoon. 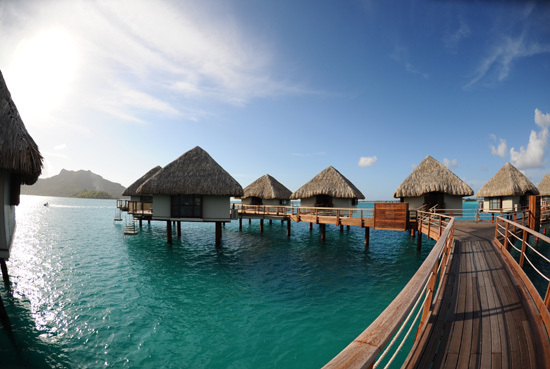 The Four Seasons Resort in Bora Bora offers the ultimate honeymoon experience. In addition to activities like windsurfing, paddle-boarding and shark feeding, the resort has an array of romantic experiences that will make your honeymoon that much more special. Opt for a private breakfast in your villa or bungalow, couples spa treatments, or sunset cruises. The resort even offers a romantic dining experience that includes a Polynesian-style dinner served in an ocean-side terrace, on the beach, or in your private bungalow. The Bora Bora Pearl Beach Resort & Spa is located on one of the largest islets and faces the main island. The resort offers a variety of romantic packages, which include champagne upon arrival, breakfast in your suite, a couple’s massage, and a romantic dinner on your terrace. They also have excursions designed for couples, including a private shark and ray watching tour, and a half-day private jeep safari.